Posted April 23, 2018, in EMPA Testimonial, MPA and EMPA Student Testimonials, MPA Testimonial. Chante’ Gunter is Administrative Analyst with the Office of Training and Professional Development Center in the New Jersey Department of Children and Families. Looking to advance professionally, she enrolled in the Executive MPA (EMPA) Program in 2013. “My colleagues admire my achievement, “ said Gunter, who noted that advanced degrees are valued in her department. Ms. Gunter was in the fifth cohort of the EMPA program alongside other students who worked in a range of areas including state agencies and county and nonprofit organizations in New Jersey and Pennsylvania. Reflecting upon her experience in the cohort, she states, “Working full-time as a professional, attending school part-time, along with attending to family needs could be overwhelming.” Like others in the program before her, the cohort became her support system. Going back to school to earn a masters degree can be challenging for many professionals. But not Chante’. “I was out of school for over 20 years, so it was an adjustment in the beginning,” said Chante’, adding that the cohort model of the program was key in making her decision to return to school. 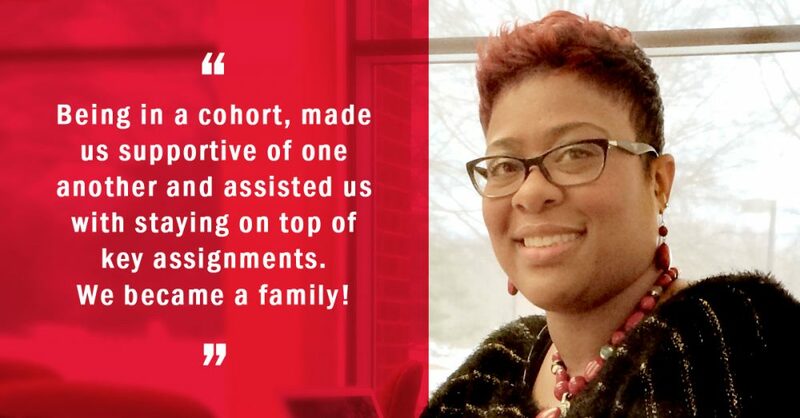 She adds, “Being in a cohort, made us supportive of one another and assisted us with staying on top of key assignments. We became a family! 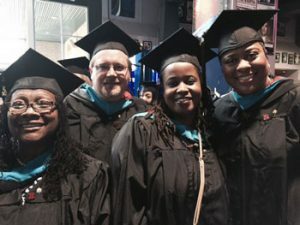 We encouraged each other during the rough times, family incidents, tough assignments, and ensured we all graduated on time!” However, her classmates not only made her experience positive — so did her family and instructors. With the support of many, Chante’ graduated in May 2015 with honors. Want to know more about a Master in Public Administration program? Fill out the form below or contact Dr. Angie McGuire, Program Director at angmcg@docs.rutgers.edu, or call (732) 932-6998, ext. 603. Page last updated by Department of Public Policy and Administration at 8:34 am October 24, 2018 . This page was printed from http://dppa.camden.rutgers.edu/2018/04/23/chante-gunter-empa-15/ at 6:15 PM Tuesday, April 23, 2019.